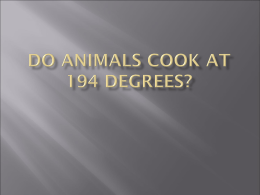 Do Animals Cook at 194 Degrees? Choose to view chapter section with a click on the section heading. 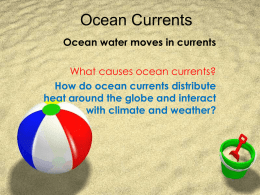  Three major factors drive ocean currents. it will cause a water current to develop. or friction with the sea floor, dissipates its energy.  2. Changes in sea level. height between high and low tide.  3. Variations in water density. between the two areas initiates a current that flows below the surface. circular flow in each ocean basin. This flow is called a gyre. 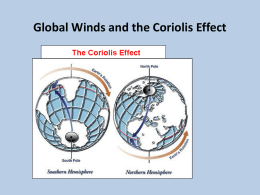 friction, and the Coriolis effect. discovered in the 1890s by Fridtjof Nansen. in what can be imagined as layers. layer flows to the right of the layer above causing a spiral motion. the left in the Southern Hemisphere) is called the Ekman spiral. motion is called the Ekman transport.  Satellite images show that the oceans are really “hilly,” not calm or flat. by gravity (attempting to move the water to the left). created by the Earth’s rotation. currents due to western intensification. smaller areas than eastern boundary currents.  Total water volume balances out. 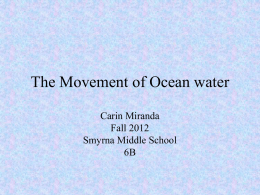 so water must move more rapidly. 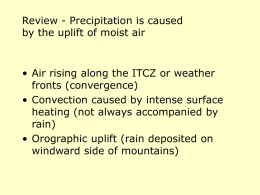  Upwelling is an upward vertical current that brings deep water to the surface. only on a west coast. nutrients up into shallow water. 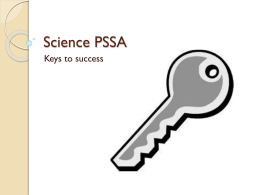  Upwellings also relate to significant weather patterns. 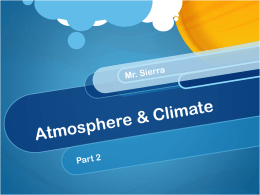 moving heat, the world’s climates would be more extreme. rainfall in the Western Pacific. local fisheries and marine ecosystems. lead to loss of life and property damage.  Thermohaline circulation is water motion caused by differing water densities. it sinks, causing a downward flow. it, causing an upward flow. high latitudes (around 70° North and South). there by the topography of the ocean basin. layer resting above the bottom layer and deep layer. and sinks again, repeating the process. 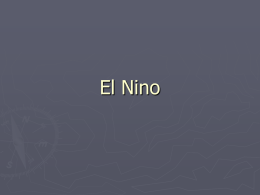 turn, keeps the tropics from getting too hot. resulted from a disruption of the conveyor belt.  1. Lagrangian method, also called the float method. that records the information as it drifts.  2. Eulerian method, also called the flow method. as it flows past. This method uses fixed instruments that meter/sample the current as it passes. that scientists apply for studying currents. not the wind determine where it drifts. a satellite a temperature and salinity profile of the water it rose through.  5. Oceanographers can now use satellites to help them. these instruments use laser and photography to study currents.